See the NEW Stihl MS500i fuel injected chainsaw at our open morning. 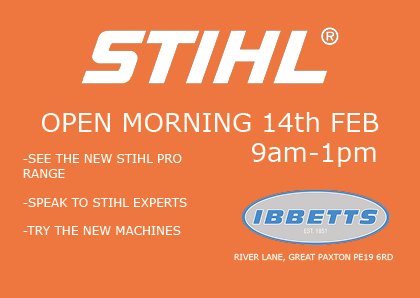 Come and see us on February 14th for our Stihl open morning . We will be launching the New Stihl Groundscare range in our showroom as well as having an exclusive look at the brand new Stihl MS550i Fuel Injected chainsaw. We will have experts from Stihl on hand, as well as our sales team, to answer your questions and talk you through the new products. There will be test products available to try and special deals to be had. We’ll even give you a cup of Coffee and a Bacon Roll! Stihl have been at the forefront of chainsaw development for many years and their latest hotly anticipated model is the MS500i. The MS500i is a revolutionary chainsaw aimed at professional users. But what makes it so special? The key development in the Stihl MS500i is fuel injection. Using an electronically controlled fuel injected engine ensures the saw will run at optimum performance at all times. External factors, such as temperature changes, can affect fuel delivery from the carburettor in traditional saws, however the MS500i ‘s control system can fine tune fuel injection to allow maximum performance whatever the conditions. The additional benefit of using fuel injection over a carburettor is reliability. Fuel blockages in carburettors are the most common issues associated with the running of small engines, so by directly injecting fuel the saw will be much more reliable and will require less maintenance. This is an essential factor for a professional user where time equals money. The result of the Electronic Controlled Fuel Injection is that the MS500i generates and impressive 6.8Hp. Thats 0.8Hp more than the equivalent sized carburettor machine, the MS462, while weighing only 200g more. This means that it has the best Power to Weight ration of any chainsaw currently on the market. Be the first to see the MS500i at out Stihl open morning on February 14th 2019. Our Stihl opening morning will give you the chance to see the new Stihl groundscare range and speak to Stihl experts. We also have an exclusive first look at the new MS500i and will have one of the only saws in the country available to see in our Great Paxton showroom. We will be taking pre-orders for the MS500i at our opening morning. Stock of the new saw is expected to sell out very quickly as limited numbers will be brought into the Uk initially. Ibbett’s have saws on order and we advise pre ordering to avoid disappointment. Delivery is expected Spring. 2019 sees a landmark year in the Stihl product range. 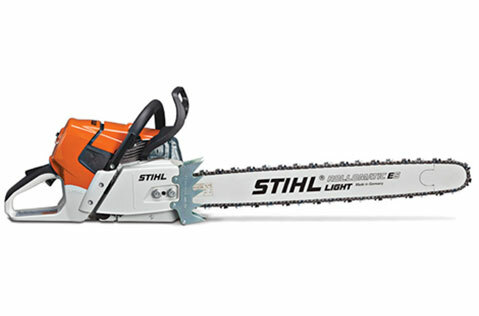 Until now Stihl have been synonymous with Chainsaws and handheld machines. 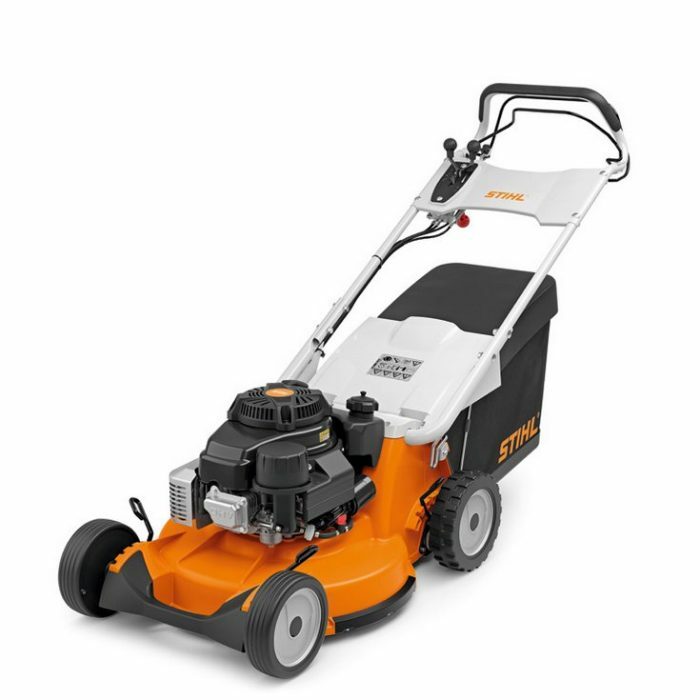 However 2019 sees the introduction of a complete ground care range including Garden Tractors, Lawnmowers, Scarifiers, Tillers and shredders all under the Stihl brand. Ibbetts will be stocking the complete range which will be on display in our Great Paxton showroom. 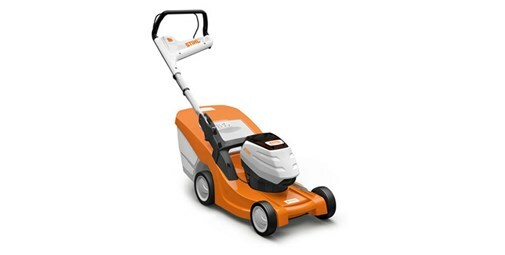 The Stihl lawnmower range features 4 wheeled, roller and mulch mowers so there is sure to be a mower to suit your needs. 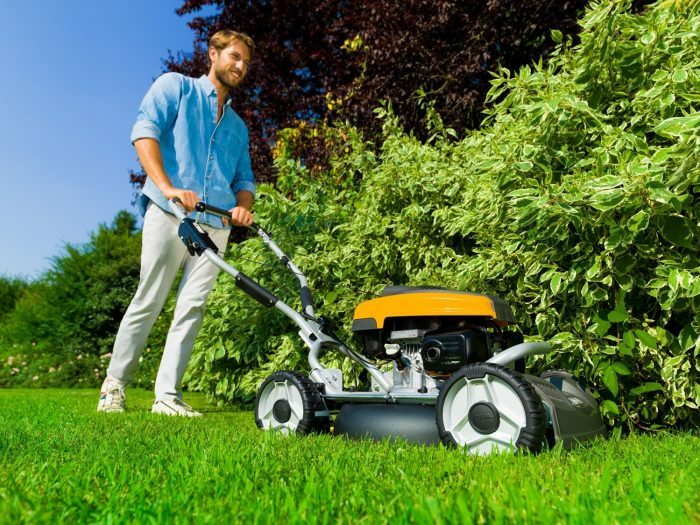 With sizes ranging from a 33cm cutting width for small domestic lawns to large 56cm cutting width commercial machines the lawn mower range has a machine to suit all garden sizes. 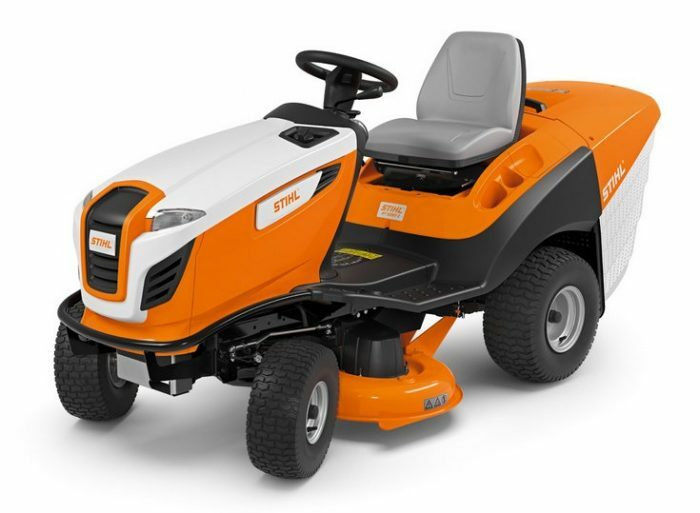 Garden tractors are also now part of the Stihl range so the Orange and Grey colours can now be seen across lawns of the uk! With engines from Briggs & Stratton and Stihl’s legendery quality and service backup the new Stihl Garden tractors will be a force to be reckoned with. Our sales staff will be able to help you find the right Garden tractor when you visit us. In addition to lawnmowers and tractors Stihl will now also be offering a range of Garden shredders. 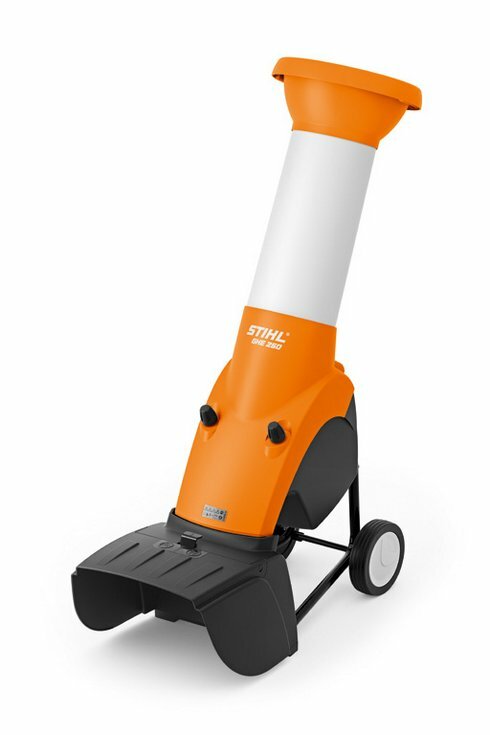 Available in both petrol and electric versions with a range of sizes the Stihl shredder range will be able to accommodate clearance work from any domestic garden. If you are tired of the back breaking work involved with digging the Garden then Stihl has the answer for you with its new Tiller. 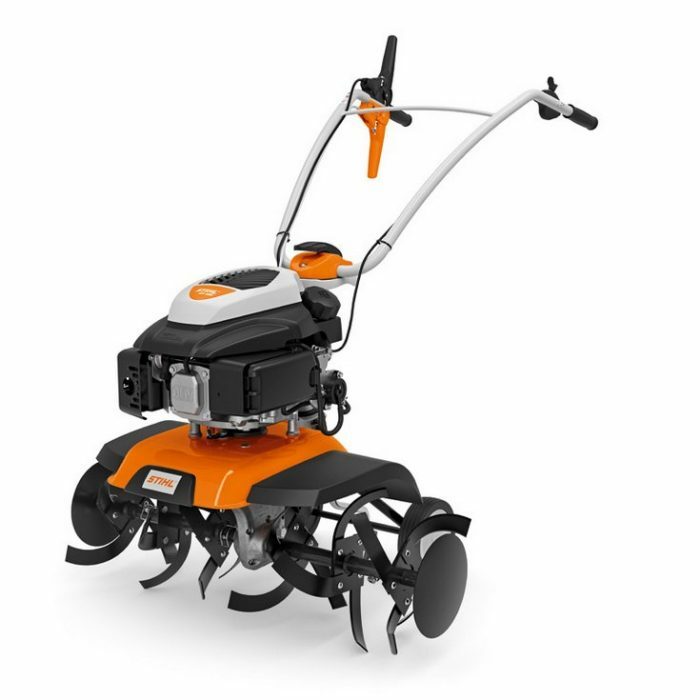 Available in 2 sizes, 45cm and 85cm the tiller will be suitable for domestic cultivation. All Tiller models will be on display in our showroom. To launch the New Stihl Ground care range Ibbetts will be hosting a Stihl open morning on February the 14th 2019. The morning will give customers an opportunity to see the complete Stihl groundcare range first hand and try the new machines. Representatives from Stihl will also be attending in addition to the Ibbetts sales team to give first hand advice about all the new machines. We look forward to seeing you on February the 14th. It’s only one week until the Ibbetts Christmas shutdown so make sure you top up on all the essentials or buy those last minute stocking fillers before we close for Christmas. Ibbetts will be shut from 5pm Friday the 21st of December 5pm until 8am Wednesday the 2nd of January 2019. We would like to take this opportunity to thank all of our customers, both regular and new, for all your business throughout 2018 and we are very much looking forward to serving you again in the New Year. So from all of us at Ibbetts we wish you a very merry Christmas and a very Happy New Year. Ibbetts will be attending the Midland Machinery show on Wednesday the 21st and Thursday the 22nd of November. The Midlands Machinery show is based at the Newark Show ground and Ibbetts will be there with Kubota Tractors and Mercedes-Benz Unimog. Visit us at show stand OSQ4 to look at the Kubota Tractor range including our brand new 170Hp M7172 Demonstrator Tractor. 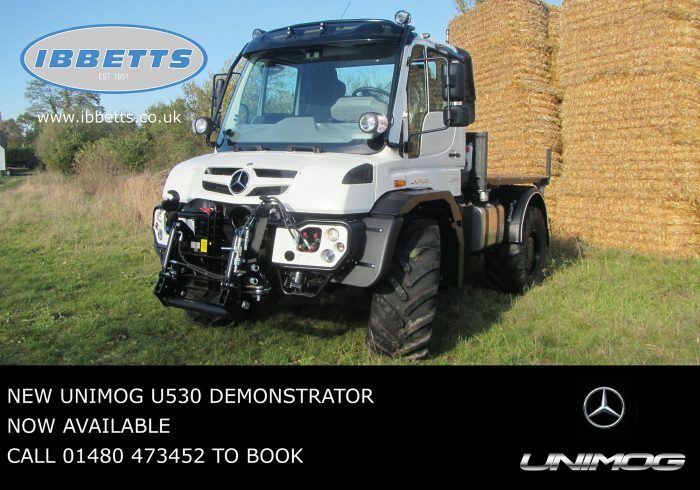 Also on display will be the latest Unimog U530 Demonstrator, the perfect vehicle for Agricultural haulage. Autumn is well and truly here and with it copious amounts of fallen leaves covering every surface of the garden. So whats the best way to deal with them? 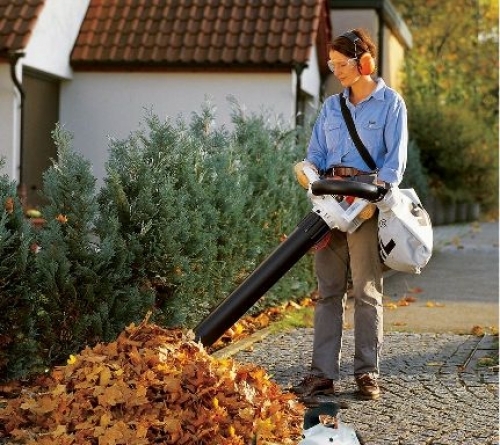 Blowers are the quickest and easiest solution to clear leaves. Simply blow the leaves into a pile in the corner of the garden or under hedges and bushes to allow them to decompose. The cordless Stihl BGA56 is a fantastic tool for this job. 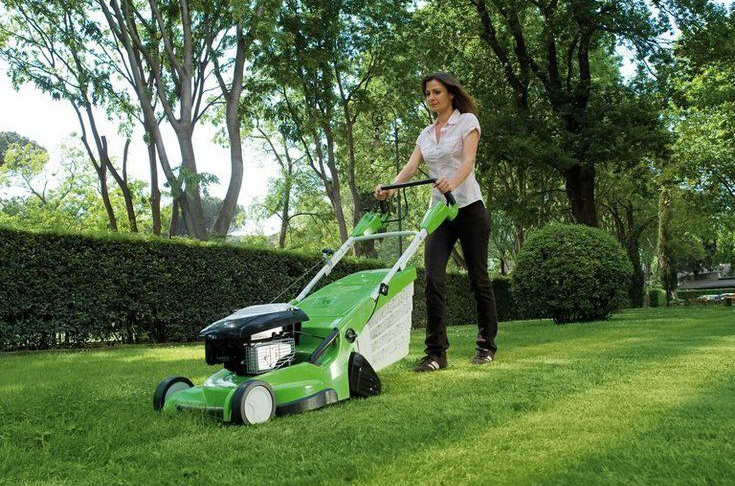 Cordless technology means the BGA56 is a quiet yet powerful machine with more than enough trigger time to clear a domestic garden. A neater solution is to pick up the leave and shred them. This will leave your garden clear and give you a nice mulch to spread over your flower beds which will allow the nutrients to be re absorbed into the soil as the mulch decomposes. The idea tool for this task is a Leaf vacuum & shredder such as Stihl’s Sh56 C-E. The SH56 C-E is a petrol powered Leaf vacuum which is more than capable in domestic gardens. The leaves are quickly sucked up and pass through a set of shredding blades as they pass into the shoulder mounted collection bag. The bag can then be quickly ad easily emptied. Sometimes though the good old fashioned way works best. 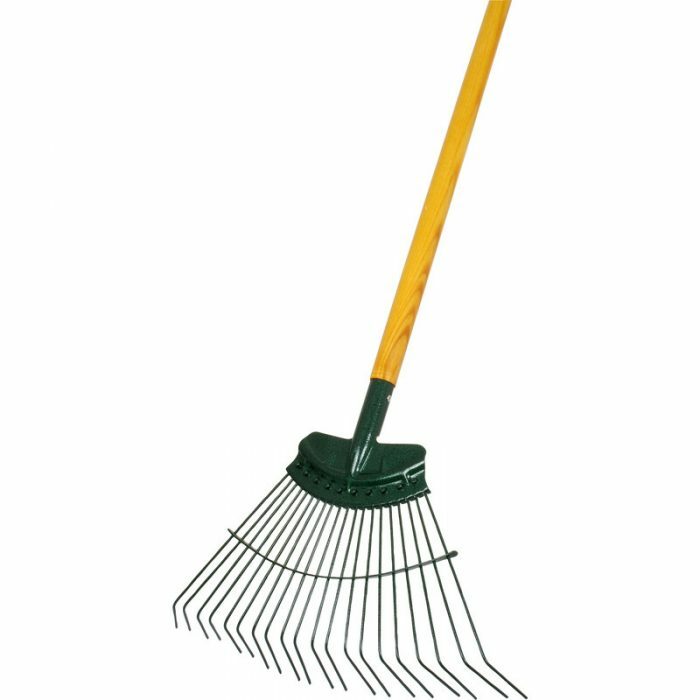 We also stock a range of hand tools including leaf rakes and leaf grabbers. Visit Out Great Paxton store to see out full rage and receive expert advice. The Stihl ‘LifeStarts a 40’ conference took place in Liverpool over the weekend of the 19th and 20th of October alongside the Stihl TimberSports World championships. The Lifestarts at 40 Conference was a celebration of 40 Years of Stihl products and a chance for the UK Dealer Network to meet and share ideas. Ibbetts attended the event as it offered a fantastic opportunity to network with other local dealers and discuss the progress of the groundcare industry. We were also honoured to win an award at the Conference Dinner and Awards Ceremony. Ibbetts were awarded with the ‘Best Local Marketing’ award which was a very pleasant surprise. We have been working very hard to promote ourselves as a traditional local business and are extremely grateful for the support offered by Stihl to help us achieve this. After the conference the TimberSports World championships took place in the Echo Arena. The thrilling individual and team competitions delivered plenty of action and excitement. On Saturday, top individual athletes from twelve countries competed against each other in all six Timbersport disciplines; Springboard, Stock Saw, Standing Block Chop, Single Buck, Underhand Chop and the mighty Hot Saw. Ibbetts are an approved MercedesBenz Unimog dealer. 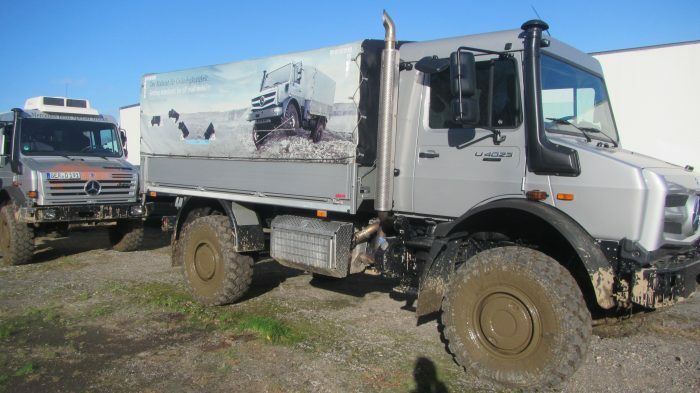 Unimog is a specialist off road utility vehicle which can be used for a vast array of applications. We were honoured to invite our key Unimog customers to MercedesBenz Approved trucks in Wentworth Park near Barnsley for Unimog Live 2018. Unimog Live offered the chance to see many variations of Unimog in different specifications and using a huge variety of equipment. Not only were customers able to see the Unimog in action, they were also able to get hands on and drive the machines for themselves. Experts from the Uk Unimog Dealer Network, MercedezBenz Germany and Unimog Uk were all on hand to field questions from guests and help them to get to know Unimog and its capabilities. Also on hand were representatives from affiliated equipment manufacturers, such as Schmidt, to provide demonstrations and expertise on utilities equipment. Equipment available for demonstration included a harrow, grass Rake, Mowers, Tankers, Trailers, Verge mowers, sweepers, snow ploughs and more. The off road test track was also in use to show off the off road capabilities that Unimog is renown for. The day was a huge success, no doubt helped by bluebird skies, which was attended by over 75 guests. For more information please call us on 01480 473452 to book your Demonstration. Ibbetts attended the Odd Wheel Club Vintage working weekend this past weekend. 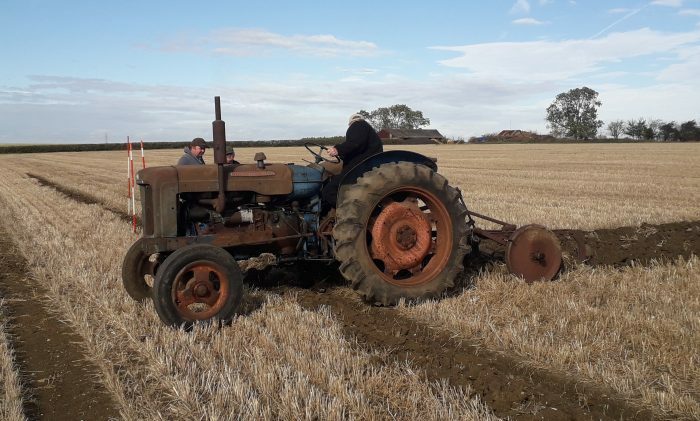 The ploughing match was organised by the Odd Wheel Club club, a group of local vintage tractor enthusiasts, in order to raise funds for the Beds & Cambs Rural Support Group. The Beds and Cambs Rural Support Group is dedicated to improving the quality of life of people who live and work in rural areas by providing free, confidential, practical advice and support to people who live or work in the countryside who suffer from business worries, financial hardship, isolation, redundancy, ill-health and homelessness. The event was attended by Vintage tractor enthusiasts with a range of Vintage Tractors in action. Saturday proved to be the best day with blue skies and sunshine throughout the day, albeit with a strong wind. The rain arrived with force on Sunday making for challenging conditions for all involved. Ibbetts Kubota also attended to give out support and offer Demonstrations in our Brand new Kubota M7172 Demonstrator tractor. 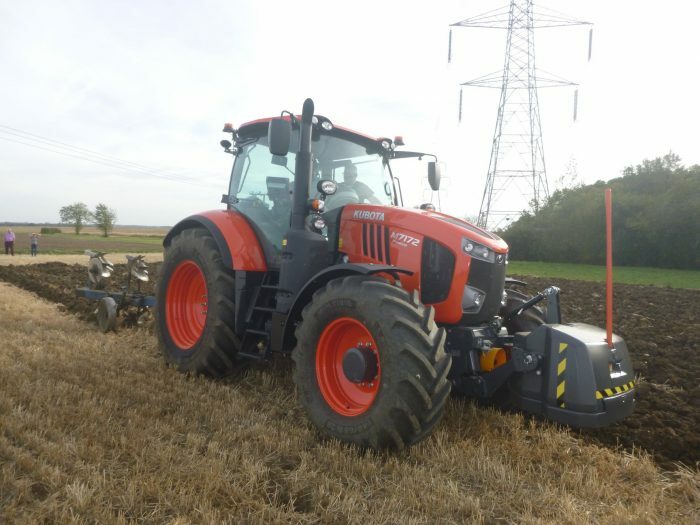 It was a fantastic chance to get behind the wheel of the new tractor and put it through its paces in the field. 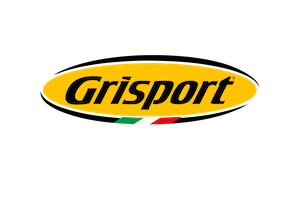 GriSport hiking and safety boots have been manufactured in Italy at the foot of the Dolomite mountains in state of the art production facilities. GriSport aims to be as environmentally friendly as possible. 70% of the power used to produce the footwear comes from solar energy from its photovoltaic plant which is one of the largest in Italy and the result of an investment of over 5 million. GriSport have focused on innovation and R&D to become one of Europes leading shoe manufacturers and are dedicated in bringing you the very best footwear at affordable prices. GriSport boots are available in our Great Paxton Store, the Free boot bag offer applies to any Grisport boot in stock. 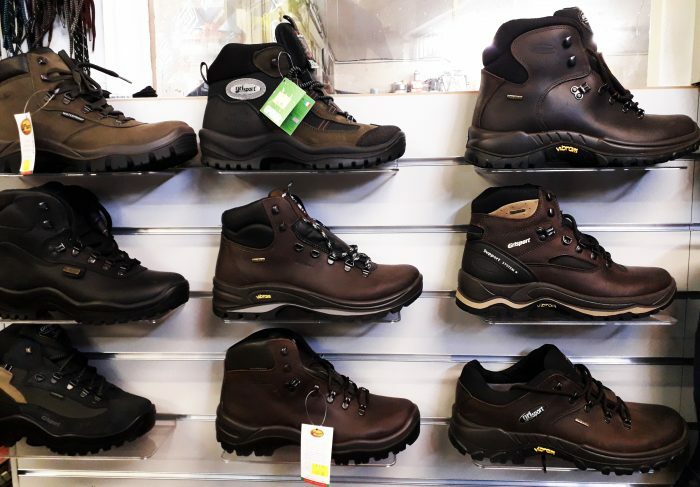 Visit us to see our range of work boots, safety boots and wellington boots as well as our range of country side clothing. Our friendly staff will be happy to help you find the correct footwear for your needs. Ibbetts have been family owned since 1851. We have many years of experience with Agricultural & Garden Equipment and are happy to share this with you to ensure you buy the right product for the job. You can see the largest range of Lawn Mowers and garden Equipment in Cambridgeshire at our Great Paxton showroom. Visit us for expert advice and a great deal! Ibbetts Kubota will be supporting the Beds & Cambs Rural Support Group at the Odd Wheel Club Vintage Working weekend. The Vintage Working Weekend is the annual ploughing match held at Wood Farm, Hail Weston. Ibbetts will be supporting the event and attending with the latest Kubota M7172 Tractor for Demonstration. 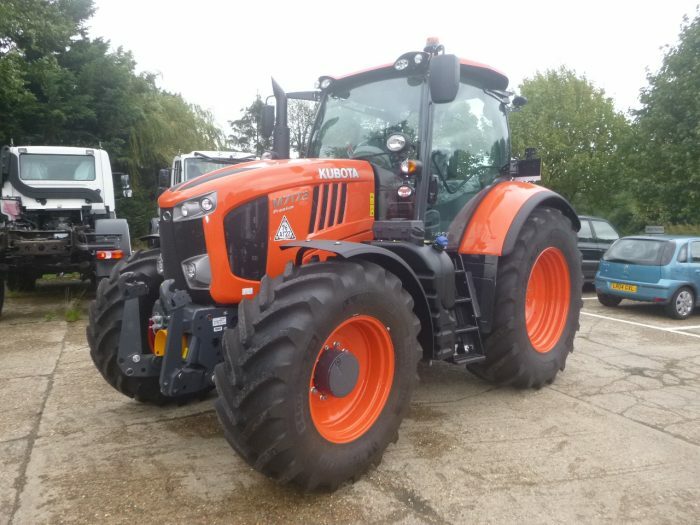 The Kubota M7172 is the brand new 170Hp tractor. Ibbetts have recently taken delivery of a new Demonstrator unit which is available to test during the working day. Save 25% as we clear remaining stock of Jack Pyke clothing. All items carry a 25% reduction off the marked retail price. Jack Pyke have been involved in the outdoor market for over 20 years and their product range manufactured using quality materials at affordable prices. One of the brands most distinguishable features is its own camoflage patterns. Clothing and accessories are supplied in three key patterns – English Oak, English Woodland & Wild Trees Grasslands. The English Oak pattern is the original pattern developed to cover the UK’s long autumn/winter period whilst the English Woodland pattern was developed in response to requests for something more green to suit our lush spring/summer seasons. The Wild Trees Grassland pattern uses reeds, grasses, brush and leaves, in light to medium browns with small pieces of green foliage ideal for camouflage amongst reeds, grass and harvested crops. The Jack Pyke Clearance offer is only valid in store and only available on in stock items. The Viking MB248 moweris a fantastic lawnmower for small gardens. Its simple to use and easy to push with a high volume grass box for longer periods between emptying. The 4 Stroke petrol engine is very easy to start and maintain. 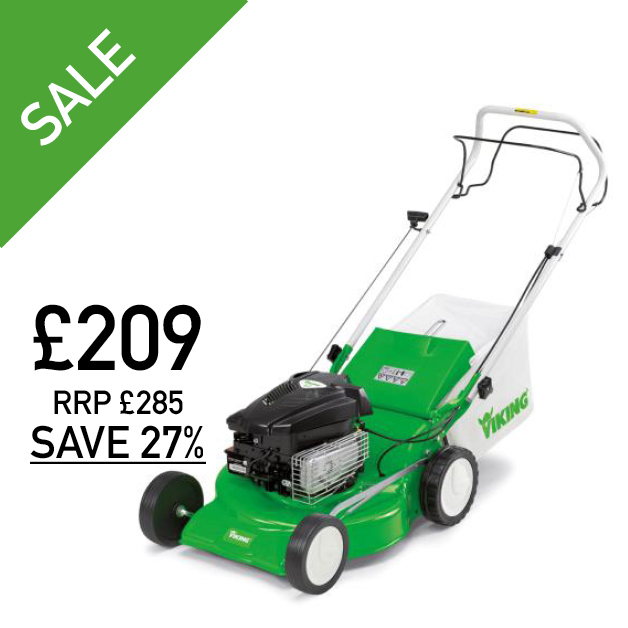 The MB248 mower is currently only £209 in our end of season sale. Click the video link below to see a full product review from Steve, our groundcare salesman. The handlebar is attached to the lightweight, high-strength polymer housing via a sturdy steel frame. 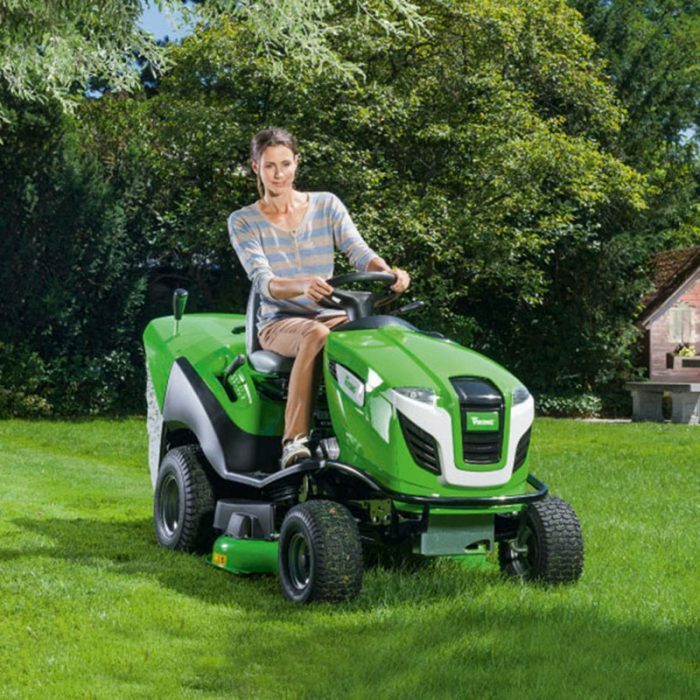 This allows easy and convenient manoeuvring of the mower, even in confined spaces and around obstacles. Pick up your new lawn mower today at our Great Paxton store, visit us for the best advice and a great deal. 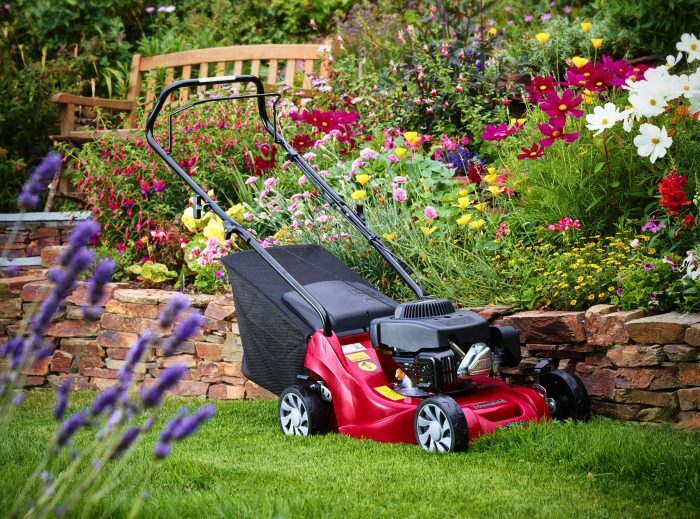 Ibbetts Guide to lawn mower types- what does it all mean? The image most people have in their head of a lawn mower is that of a walk behind. These are the most common type of lawnmower and are often petrol powered with 4 wheels. These are available in a range of sizes to suit different sized gardens and are measured by the diameter of the blade, e.g 16 inch. The grass box is used to collect the grass clippings, generally the larger the blade diameter the bigger the grass box. Roller mowers are essentially a walk behind mower, however instead of 4 wheels they will use a heavy duty roller at the back and 2 front wheels. If you’ve ever watched Wimbledon and wondered how they create the stripes on the tennis courts, the roller mower is your answer. As the roller passes over the grass it will flatten it down in the direction of travel. As you pass back and forth on your lawn the light will then reflect of the angles grass creating the striped effect. An additional benefit of using a roller on your lawn is that the roller will level out small bumps and imperfections creating the best possible finish. A mulching mower is one that does not collect the grass. Instead of collecting the mulching mower will retain the grass clippings inside the lawnmower and then cut them up into tiny pieces. The cut grass is then sprinkled across your lawn and wilts and disappears within a few hours. The benefits of mulching, apart from the obvious lack of collecting, is that the nutrients from the grass clippings are returned into the soil, rather than being removed. This means that the lawn is continually being fed and should be greener and healthier as a result. A self propelled mower is one that drives it self forward. A commonly found option on the larger walk behind lawn mowers, roller mowers and some mulching mowers, self propulsion make operation much easier physically. A self propelled mower is a fantastic option for those who struggle pushing a standard walk behind mower or want to cover a larger area with less effort. A cylinder mower is the traditional type of lawn mower. These are rarely used nowaday but when they are if often by sports clubs looking for a fine cut on sports pitches or those looking for an exceptionally finished lawn. The are expensive and time consuming to maintain which puts off most garcen owners. For the domestic user Cylinder mowers are not the most practical option. 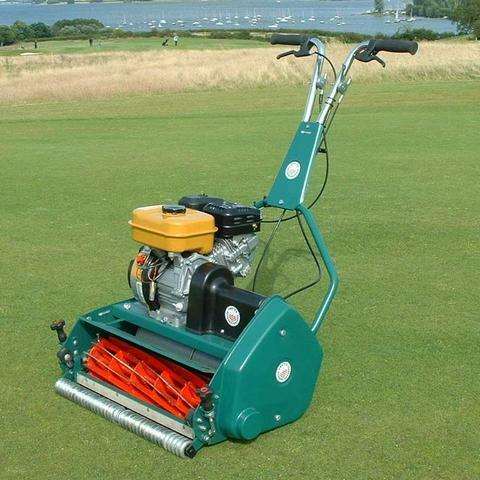 At Ibbetts we no longer stock cylinder mowers, however we can special order. Ride on mowers, or lawn tractors as they are also known, are designed to tackle bigger areas of grass. As the name suggest the operator of a ride on mower sits on the machine itself and drives the mower. Ride on mowers are able to handle a number of cutting blades and can therefore cover a greater cutting width, from 30 inches upwards. Ride on mowers can collect of mulch grass depending on your needs. 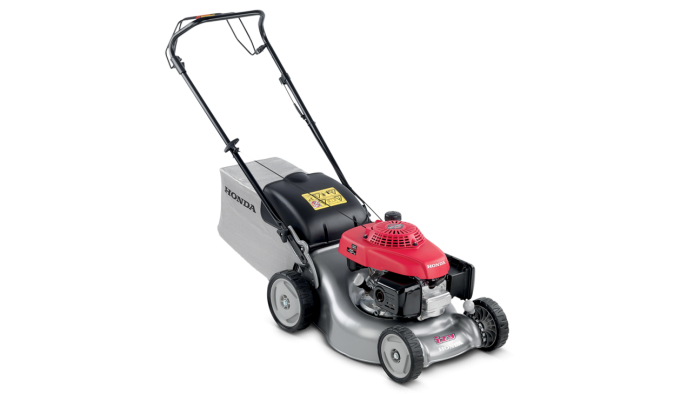 Electric mowers are the simplest of lawn mowers. They are powered by an electric motor and require plugging into the mains via a cable. They are excellent for a small area of grass and are extremely light and agile to handle. 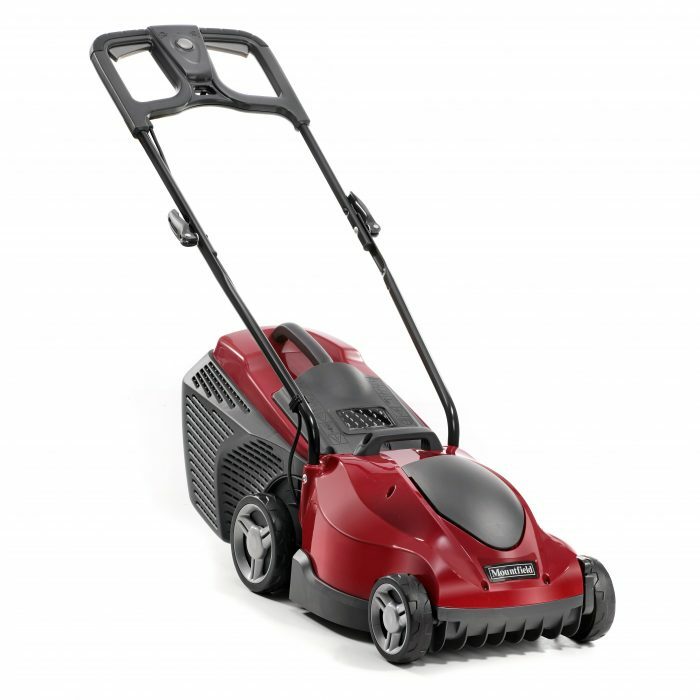 Maintenance cost of minimal and they are the cheapest type of lawn mower to buy. 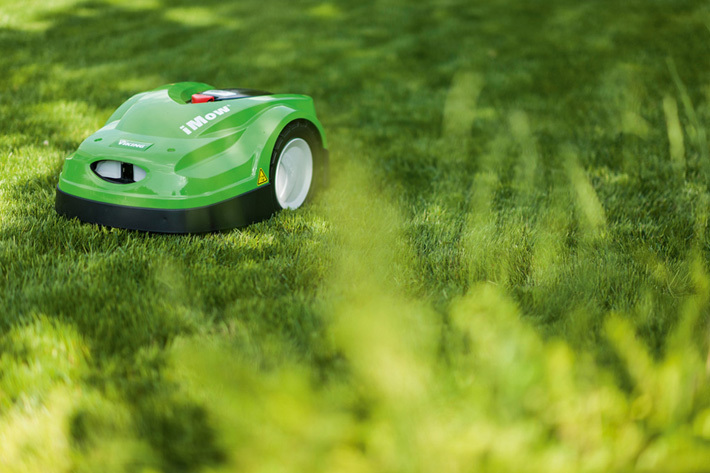 Robot mowers are the new breed of lawnmower. Technology meets grass cutting with these fully automatic robot mowers. Robot mowers can be programmed to cut your lawn when ever the time is convenient but are smart enough to stop cutting in bad weather. Robot mowers are all mulching mowers, so not only cut your grass automatically, they also feed the lawn too! They can avoid obstacles in your lawn such as trees and stump, or even children and pets. The Viking Imow is the market leading in robot mowers and is the benchmark.